Why is vinyl popular again? A few years ago, the only people who listened to vinyl were audiophiles, hipsters and grannies who hadn’t realised Engelbert Humperdinck’s albums were available on CD too. Now, everyone’s listening to it. After hitting an all time low in 2007, 2.1 million records were sold in 2015. Last year’s biggest selling record was 25 by Adele, a distinctly non-hipster album. So why is vinyl so popular again? 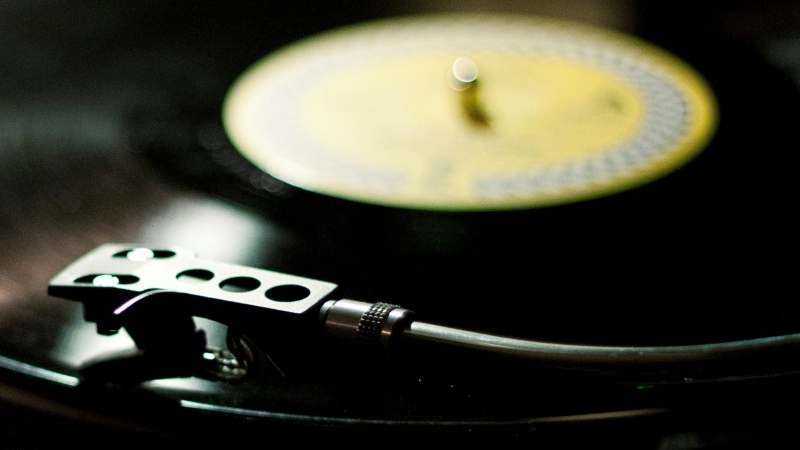 At the risk of sounding like your dad, it’s hard to beat the vinyl experience. Sliding it out of the sleeve, placing the record into the player, dropping the needle, the soft crackle of the music as the album starts; it’s bliss! The inconveniences of vinyl add to the experience too. You can’t carry a record player around with you, and you have to change it over every 15-20 minutes. It forces you to sit there and actually listen. You’ll appreciate a record much more when you’ve sat down and fully listened to it, instead of half listening to it on the bus while a kid screams in your ear. You can’t appreciate album artwork when it’s presented as tiny thumbnail in the corner of a computer screen. It’s like looking at the Mona Lisa through a tube of toilet roll. Album artwork is an important part of the listening experience. Most of the time, an artist has carefully chosen the cover because it represents the album somehow, either as a representation of the tone or the lyrical themes. Some artists just stick a photo of themselves on the cover, but hey: sometimes it’s nice to look at that too. Because records are so big, they’re the best way to appreciate album artwork in its full glory. There’s a reason people hang record sleeves on their walls! You can tell a lot about a person from their record collection: what they liked as a teenager, what they’re into now and what embarrassing secrets they’re hiding. Vinyl is the ideal collector’s item. You get lovely artwork, a nice record (which is sometimes coloured!) and, unlike stamps, you can actually use them too. Plus, some records are really, really hard to find, which makes building your collection a bit like a real-life version of Pokemon. The best bit, of course, is showing everyone how cultured and cool you are. For readers of a certain age, vinyl is the music format of youth – a reminder of a more innocent time. For those of us who are a bit younger, vinyl is like a relic from a better time, when music was less disposable. Listening to a Beatles records on vinyl somehow makes it feel older, like you’re listening to it how it was supposed to be heard. Either way, there is something more satisfying about listening to a record over an MP3. Now, this is one is slightly contentious and not everyone agrees. In fact, hardly anyone agrees. Some people say it’s better and some people say it’s not, and finding out which is right is nigh-oh impossible if you don’t have a degree in sound engineering. Still, there are a lot of insistent people out there so it’s worth comparing vinyl/CDs/digital if you haven’t. Just remember: as long as you’re enjoying yourself, it’s all good! If you want to start collecting vinyl, or want to build your collection further, buy vinyl from the musicMagpie Store! We’ve got great prices on 100s of albums, plus you’ll get FREE delivery too. Keep an eye out for new releases from the Red Hot Chili Peppers, Radiohead and more this Friday! So, you’re thinking of starting a vinyl collection?